Although drivers convicted of DUI in Los Angeles sometimes face harsh sentences, those jail terms rarely approach the time a judge gave to a man in Austin, Texas, for a March 2014 DUI incident. 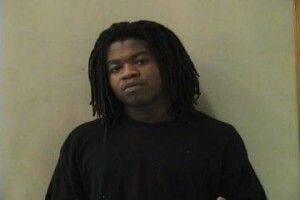 Rashad Owens, 23, an aspiring rapper, had been driving while intoxicated and without his vehicle lights on when he spotted a police check point on March 13 around 12:30 a.m. Instead of stopping, Owens took off, driving through a gas station, speeding the wrong way on a one-way street and reaching speeds of 55 miles per hour before crashing through a traffic barrier. He then turned onto Red River Street, plowing through a crowd of people who had gathered for the South by Southwest (SWSW) music, film and interactive festival. Owens wreaked devastation with his gray Honda Civic. Two people died at the scene, and two died a week later in the hospital. He also injured more than 20 people during his flight. Prosecutors said that Owens fled because he was trying to evade the traffic stop. After an investigation, police charged Owens with capital murder. Witnesses at his trial testified that Owens accelerated through the crowd instead of trying to slow down and stop after hitting people. Prosecutors said he deliberately ran people over, but his defense lawyers argued that Owens’ actions resulted from his panic. Videos that police took at the scene showed Owens saying that he should have just stopped. He asked if he had killed anybody, and said he didn’t mean to if he had. Prosecutors called 16 witnesses to testify against Owens; the defense called none, not even Owens. The jury took less than four hours to find Owens guilty of capital murder, and the judge immediately sentenced him to life in prison without possibility of parole.